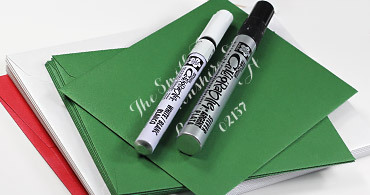 Create, assemble, and decorate unique invitations, stationery, and paper crafts with our extensive collection of invitation supplies. 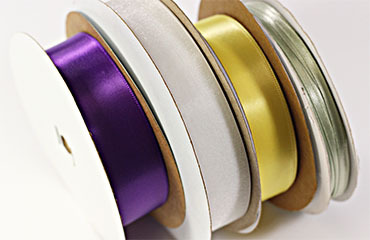 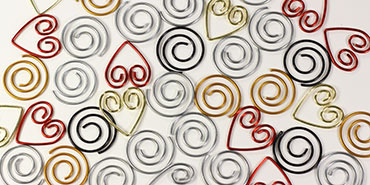 From adhesives, to cutting tools, to ribbons, bows, bands, and brads, we have all you need from start to finish. 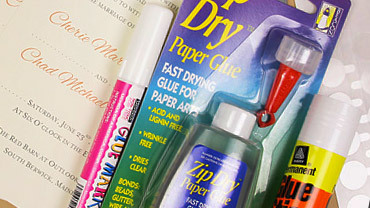 Choose from a collection of professional grade crafting tools such as x-acto punches and non-wrinkling ZipDry paper glue. 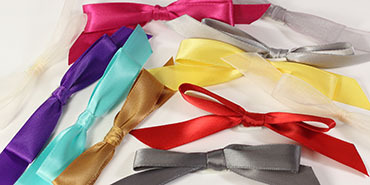 Browse a colorful and trendy collection of embellishments including convenient self-stick bows, rustic-chic hemp twine, and personalized envelope seals. 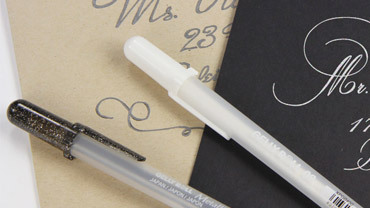 Put a personal handwritten spin on your project with one of several dozen Gelly Roll pens. 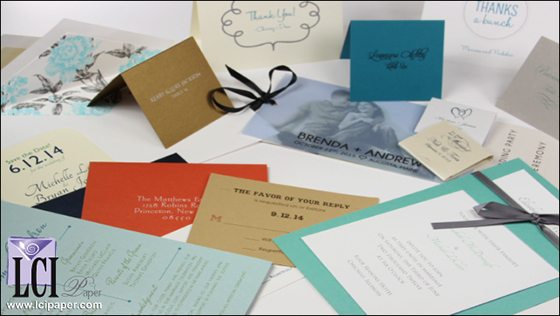 Whatever your crafting needs, whatever your creative design, you will find all of these invitation supplies and more on this crafty and creative page. 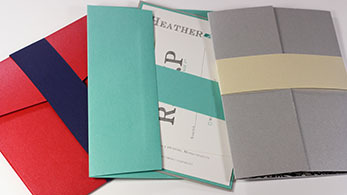 What will you create with our invitation supplies? 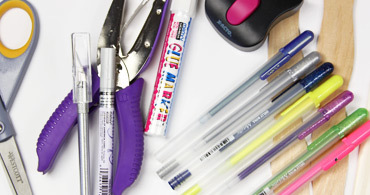 All the tools you need to piece together your one of a kind design - adhesives, cutting tools, paper punches, pens - you name it, we have it. 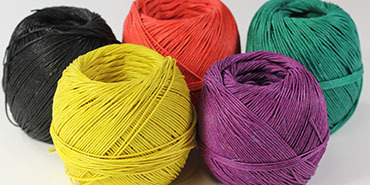 All crafting tools are in stock, ready to ship, ready to help you create something great!